where the past comes to life! Please join us--Public Invited to General Meetings! fine company and light refreshments…the perfect evening. WHAT’S IN YOUR BACKYARD? features the Lost Boys Recovery team of Andy Snell and Nate Keister, metal detecting hobbyists. Thanks to Jeri Jones for a great and entertaining presentation about the geology in this area at our Jan. 16, 2019 general meeting! He is a local geologist with a specialty in geoarchaeology and the owner of Jones Geological Services in Spring Grove, PA.
See Photos from our Christmas Party! Our Christmas House Tour was held on Sunday, December 9, 2018 from Noon to 5 pm and was a great success! See photos of the 2018 Tour here. Log House Christmas Craft Show held on Nov. 23, 24, and 25, 2018 was a great and well-attended event with wonderful hand made crafts to choose from! Here are some photos from the weekend. Thanks to all of you who supported us during the 2018 Adams County Community Foundation Giving Spree! September 9, 2017. See photos from 2017 here! See Dillsburg Banner Article about David Taylor's Captured but Not Forgotten Talk. 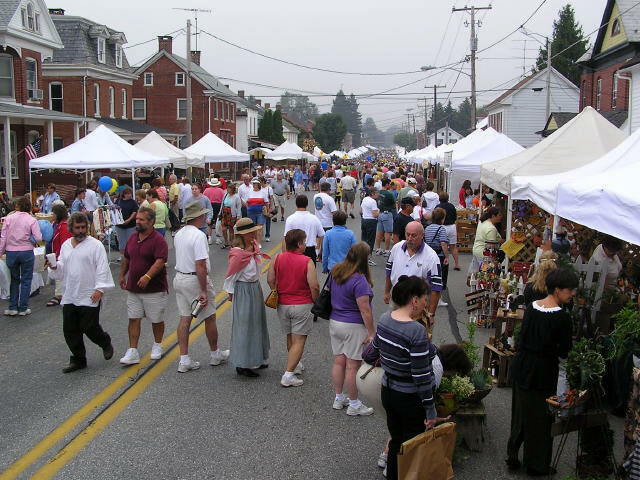 East Berlin made the top 10 of the Safest and Most Peaceful Places to Live in Pennsylvania! A blast from the past! 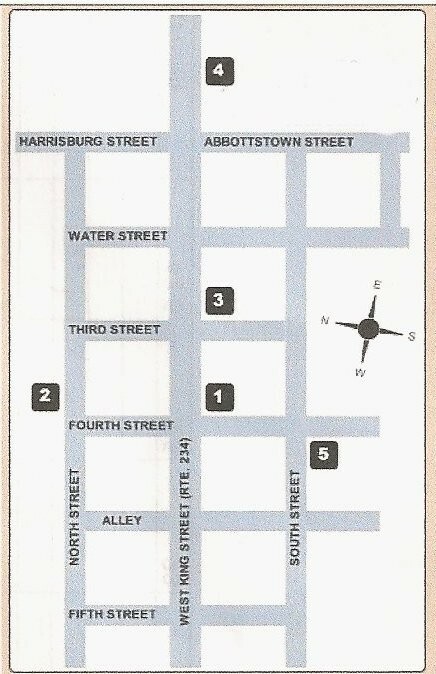 Check out the East Berlin, PA 1964 Bicentennial Parade on YouTube! Follow this link! 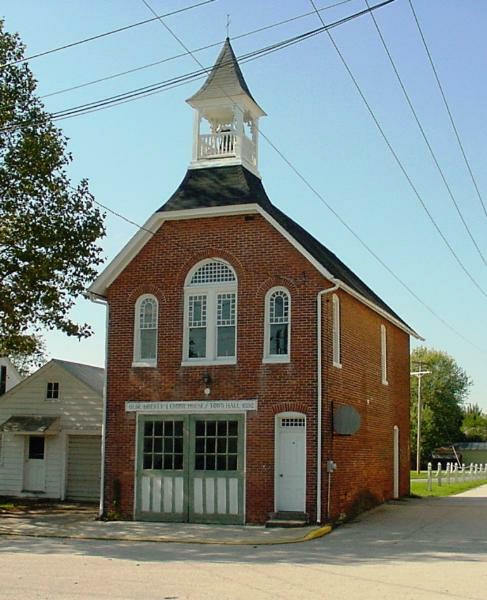 See Youtube Video of Richard Fox Promoting EBHPS and Its School Program in "Authentic Adams County - Preserving the Past". 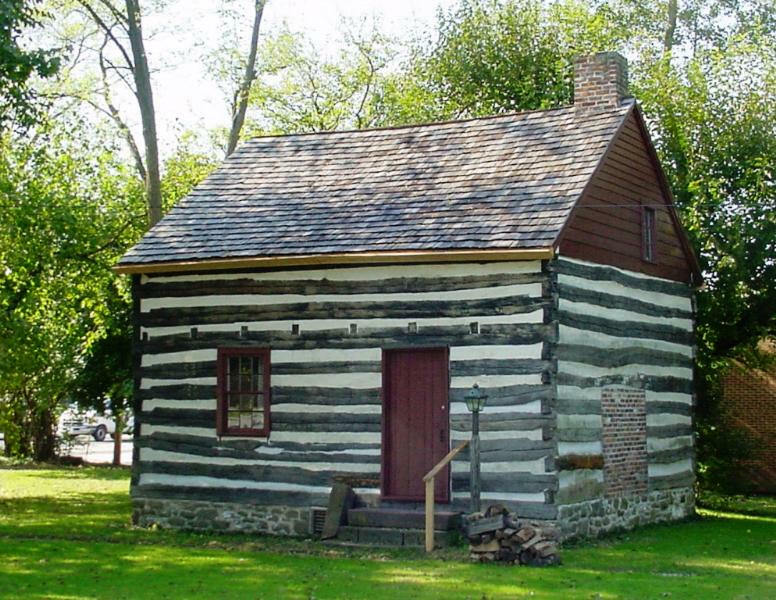 Also, Luke Miller of EBHPS received a Home Restoration Award from Historic Gettysburg Adams County for his restoration of the Luke Miller House in East Berlin. Our Christmas House Tour was held on Sunday, December, 11, 2016 from Noon to 5 pm. Flyer Here! More Detailed Info Here! Ticket Info Here! Photos from 2016! Our Colonial Day Celebration on September, 10, 2016 was a great success! See photos Here! The Log House Craft Show was held on November 25, 26 and 27, 2016 from 10 am to 4 pm and was lots of fun! Flyer Here! 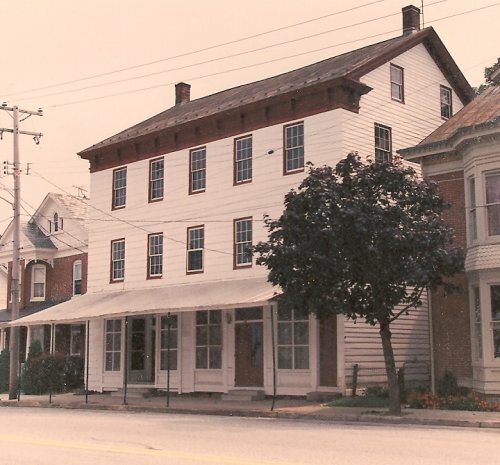 EAST BERLIN is an historic town located in Adams County, Pennsylvania. Please Join Us! NEW 2019 Form! 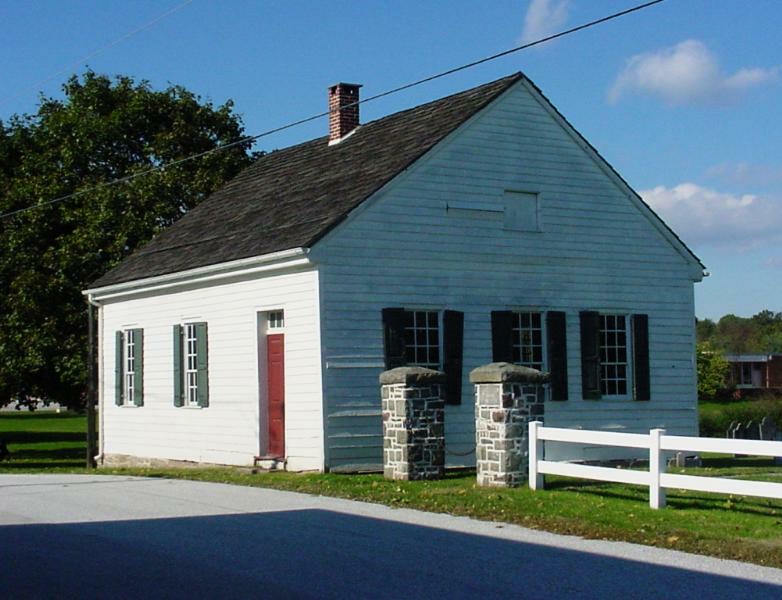 The 1764 Preservation Fund is designed for companies and organizations to provide annual contributions for the ongoing preservation of the Society’s buildings. See how you can help here. Sorry, but there was no Colonial Day in 2018. We are not sure of the status of future Colonial Days at this time. COME AND JOIN THE FUN: Unfortunately, our 2018 Colonial Day was cancelled. We are sorry to say that Colonial Day for 2018 has had to be cancelled due to unforeseen circumstances. See more info here. We raffled off the lovely quilt, seen to the right, along with two other wonderful prizes, at the end of our Christmas House Tour on Dec. 9, 2018 at 5 pm. Winners were selected and notified. Scott Mingus speaking about The Undeground Railroad on September 19, 2018 was very well attended and very interesting! 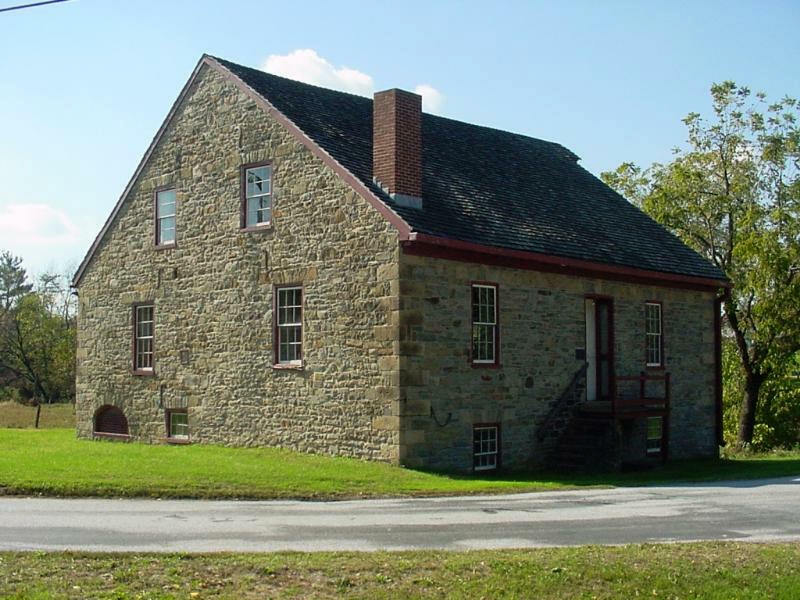 Please Note: NYCHAPS (Northern York County Historical and Preservation Society) and EBHPS are now working together to promote the speaker series for both organizations. See their website at: https://northernyorkhistorical.org/events-calendar/ and see our General Meetings page for more information. The Spring Tea on Sat., May 19th, 2018 was great fun with lots of tasty delicacies. Here are a couple photos from the event. Our Annual Bake Sale on April 28, 2018 was a great success! Thanks for your support--See Photos Here! October 28, 2017 Tea--See Photos on our Society Snapshots Page! The Log House Christmas Craft Show was held on November 24, 25 and 26, 2017 -- always a fun event! See some photos from this year here! Thanks to all of you who supported us during the Adams County Community Foundation Giving Spree! Our Colonial Day Celebration was held on September 9, 2017. See photos from 2017 here! Next Colonial Day is Sept. 8, 2018! See Photos from Open House Here! Our biennial EBHPS Christmas House Tour was held on December 11, 2016 from Noon to 5 pm. Flyer Here! More Detailed Info Here! Ticket Info Here! Photos from 2016! The Log House Craft Show was held on November 25, 26 and 27, 2016 from 10 am to 4 pm and was a lot of fun! Flyer Here! Our Yard and Bake Sale on April 30th was a great success. See some photos on our Society Snapshots page! Thanks for your support! We regret that we had to cancel our 2016 East Berlin Antique Show due to a scheduling conflict. At this time, we have no plans for another antique show. 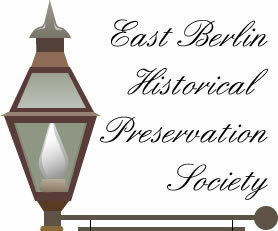 Photo and Information About 2018 East Berlin Historical Preservation Society Quilt! This next pattern was chosen because of its simplicity. It is a “Churn Dash”, or “Monkey Wrench” pattern, 72 blocks in all, each one 8 ½ inches square, set in 9 straight rows of 8 blocks. The blocks are separated by thin strips of sashing, with corner setting squares. This time I chose shades of green, with pops of reds, as we had an abundance of fat quarters* donated by Sue Hess. Thank you, Sue and daughters. I only had to purchase fabrics for the sashing, the creams for some of the blocks, and the borders (green and gold), and the back of the quilt. I cut the fabrics into squares and strips and gave them to the ladies to piece together. Erma Barnhart was given the bulk of the blocks, and Winnie Flynn took the rest to a quilt group at the East Berlin Library, who volunteered to help with sewing the blocks. When they were completely pieced, Erma took all of them and assembled the quilt top. She did a beautiful job; and it is a very large quilt, king-sized. She is also making some throw pillows to go with it. Once I get the top marked with a quilting pattern, we will attach it to the quilt frame. *A “fat quarter” is a quarter yard piece of fabric. Instead of the standard cut, which is 9 inches by the 44 inch width of the fabric, it is 18 inches by 22 inches. Still the same amount of material, but a short, fat piece, which actually gives you more to work with. 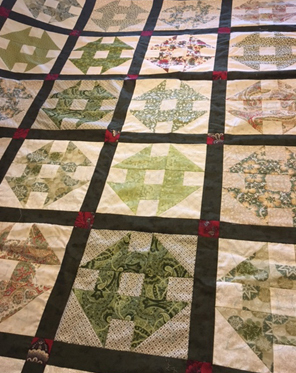 This lovely quilt was first prize and the winner was drawn on December 9, 2018 at the conclusion of our Christmas House Tour. Second prize was a pair of decorative pillows, pieced and hand-quilted by Erma Barnhart. Third prize was a redware bowl by Becy Mummert. Congratulations to all the winners!